Eddie has been involved in the sportsturf industry for over 30 years. 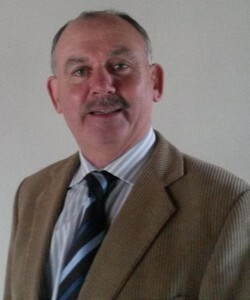 He began his career in 1978 as a trainee Greenkeeper in Royal Dublin and Elm Park golf courses in Dublin. He became the first person in Ireland to be awarded a City & Guilds Certificate in Greenkeeping in 1981. He then continued his studies at Purdue University, Indiana, USA obtaining a Bachelor of Science degree in Agriculture, specialising in turfgrass management, in 1985. Following graduation he worked as a construction and technical specialist with a sportsturf construction firm in Scotland for 8 years. In 1989 he formed a partnership in Grass Technology International specialising in sportsturf, and also commenced agronomy consultancy work in Ireland. Eddie grew the agronomy consultancy business across Ireland and the UK in the early 1990s including tournament preparations at courses that hosted the Irish Open, European Open, British Open Qualifying, Ladies Irish Open and Walker Cups, along with membership clubs wishing to improve their course conditions. In 1997 he set up his own company, Eddie B. Connaughton Ltd, and has grown the business to offer clients the full range of services from sportsturf design, golf course design/ remodelling, agronomy consultations, construction and drainage specifications and project management.